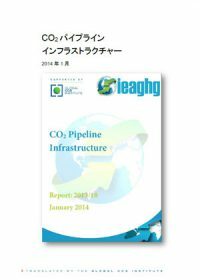 The aim of this study is to collate information from the public domain on existing CO2 pipelines into a comprehensive reference document. 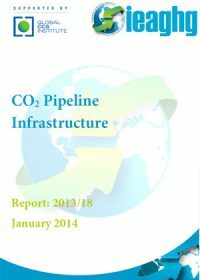 Other objectives are to discuss the similarities and differences between CO2 and other, specifically natural gas, pipelines and to provide an overview. The overall lessons learned from this study should support project developers, decision makers, regulators and governmental bodies who do not deal with engineering calculations and cost estimates on a regular basis. Based on a wide range of interviews and literature, Ecofys and SNC Lavalin have gathered detailed information on 29 CO2 pipeline projects (out of more than 80 worldwide). This is now accessible as an interactive mapping tool. 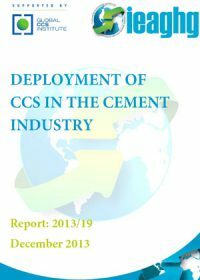 A survey by the International Energy Agency Greenhouse Gas R&D Programme (IEAGHG) finds that the majority of respondents in the cement industry think that CCS is relevant to them and are aware of research projects, with half involved in CCS activities. The survey and subsequent report were part of the IEAGHG’s research into the cement industry which is one of the largest industrial emitters of greenhouse gas, accounting for around 5% globally. 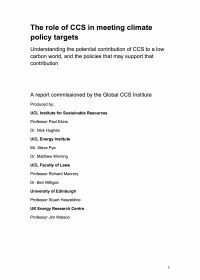 Sponsored by the Global CCS Institute, this independent report presents important findings to help the industry reduce emissions using CCS. The report establishes a range of techniques to reduce CO2 emissions from cement production along with increased energy efficiency. It finds the preferred techniques for capturing CO2 in cement plants are oxyfuel and post combustion capture. While oxyfuel is in general expected to have a lower energy consumption and costs than post combustion capture using liquid solvent scrubbing, it found disadvantages with pre combustion capture. Finally, the report provides an update on the legal and economic environment for CO2 related policies and regulations facing the industry. 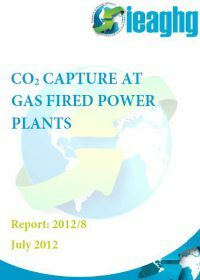 The purpose of this study is to investigate the technical and economic performance of CO2 capture and compression technologies at new-build gas-fired power plants. 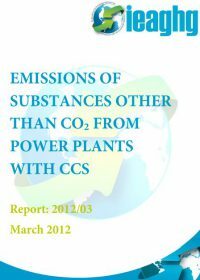 The study report provides information on the designs of each of the plants, their power output, efficiency, greenhouse gas intensity, capital costs, operating and maintenance costs, levelised costs of electricity and costs of CO2 avoidance. Process flow diagrams, stream data, equipment lists and plant layout diagrams are also provided. 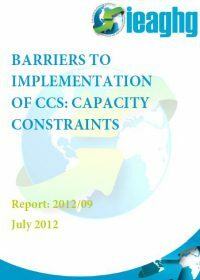 In this study we assess possible supply chain constraints that could arise if CCS is deployed according to the IEA CCS Roadmap. We look at physical constraints (equipment, materials) as well as those in skills and services (human resources). 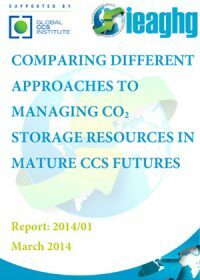 In the context of CCS, capacity generally refers to storage capacity, but storage capacity is not within the scope of the study presented in this report. 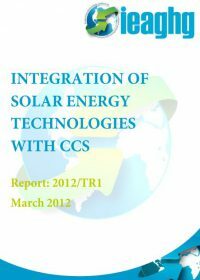 We focus only on the future capacity of the supply chain for CCS technologies. This report evaluates the emission of MEA and the expected major degradation products and identifies shortcomings of the existing PCC amine technology. 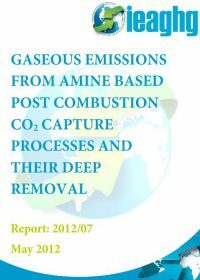 The report briefly reviews various compounds expected to be emitted from the process, describes various available emission control methods and then evaluates their suitability for the existing MEA and other amine based PCC technologies. This report summarizes the emissions and waste assessment performed by TNO on different power plant configurations with and without carbon capture. CO2 Capture and Storage (CCS) is one of the possible solutions for carbon mitigation in fossil fuel power plants. Before its full demonstration at intermediate scale (by 2015) some aspects of its impact into the environment need to be investigated. IEA GHG has contracted TNO to investigate the effect of CCS on the emissions of substances other than CO2 also emitted by power plants. 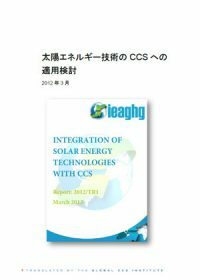 This internal IEAGHG study was instigated in order to better identify and evaluate the opportunities for CCS and renewable energy technologies to be combined to the mutual benefit of both. The information would also assist in assessing the scope and boundary conditions for a follow on study on CCS life cycle assessment, which would aim to better understand the supply chain impacts and how in the future technology advances may be able to substantially reduce these.